Could you be losing out by spilling excess solar generation back to the grid? After all, if you’ve gone to the effort of generating your own electricity it’s only natural to want to get the biggest bang for your buck. The simple maths is this: if you use your own solar electricity, you’ll save about 15p/kWh because you won’t have to buy from your supplier any more. If you export the electricity back to the grid, you only get about 5p/kWh for your electricity. And for customers installing after March 2019, you will have to shop around different suppliers to get the best possible price. So there’s a clear financial benefit to using as much of your own generation as you can. Fortunately, a few simple lifestyle hacks, plus some great bits of tech, could help you use your own solar to power your home and even your car as well. Joju Solar have been helping our customers become more self-sufficient for over 12 years. Here’s a guide to our best-sellers for helping you make the most of your solar. If you are at home in the day, you can divert your excess solar generation into an electric vehicle and get free zero carbon mobility. Everyone loves the idea of powering their own car from their own sunshine. The Zappi EV charger is the first of its kind, smartly diverting excess solar electricity directly into your car. The exported electricity from a typical domestic solar roof could run a Nissan Leaf for a whopping 5000 miles! Benefit: Up to 5000 miles per year from a typical 3kWp solar roof. 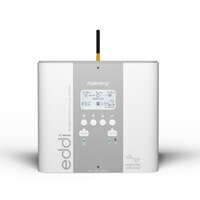 Made by the same team as the Zappi, the Eddi device diverts electricity into your hot water tank. Instead of your solar generation going back to the grid, you can now use it to provide you with a nice warm shower. With hot water being one of the highest energy demands in the home, this is a great way to reduce costs and your carbon footprint. The Eddi wirelessly connects to a signal box (called Harvi) that sits by your fuse board, so there’s no need to run messy wires through your home. Benefits: Up to £300 per year if heating electrically, £100 per year if primarily gas. This is the daddy of all technologies for using more of your own generation. 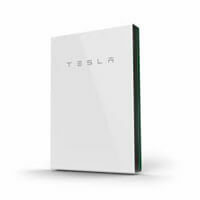 Whilst other devices are restricted to vehicles or hot water, electricity stored in a battery can be used for anything you like. Joju are the UK’s leading experts on home batteries and you can read more here. As well as capturing your excess solar electricity, some models can also be used to charge with cheap night-time electricity as well, dropping your running costs even further. Benefits: Up to £500 per year, if used in conjunction with Economy 7 tariffs. This requires a little bit for work on your behalf – but its completely free. Some energy uses within the home can happen at any time, so it makes sense to schedule these during the day so they can use your own generation. Running washing machines, dishwashers and hoovering are all good things to move to the daytime – you could even use a slow cooker to prepare your evening meal! 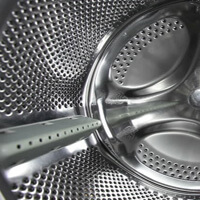 Using timers on the appliances themselves or a simple plug-in timer allows you to do this even if you are out at work.